Scientists were on Thursday working to classify a new species of giant jellyfish that washed up on an Australian beach, describing it as a "whopper" that took their breath away. The 1.5-metre (4 foot 11 inch) specimen was found by a family in the southern state of Tasmania, who contacted a local marine biologist. Lisa Gershwin, a scientist with the government's Commonwealth Scientific and Industrial Research Organisation (CSIRO), said the type of jellyfish had been seen in the past, but never one so big and not one that became beached. "We know about this specimen but it hasn't been classified yet, it hasn't been named," she told AFP, adding that there had been a massive jellyfish bloom in Tasmanian waters over the past month. She said the new species was related to the lion's mane jellyfish, the largest known species of the marine animal in the world. "It is so big it took our breath away," added Gershwin, who has been working with jellyfish for 20 years. "It's a whopper of an animal but it's not life-threatening, although it does sting." CSIRO scientists now have enough pictures and samples to begin a proper analysis to classify and name the creature. Despite this, much remains unknown, including how it eats and breeds, and its habitat. "It's so big but we know nothing about it," said Gershwin. "It highlights again how much we still have to learn about the ocean." 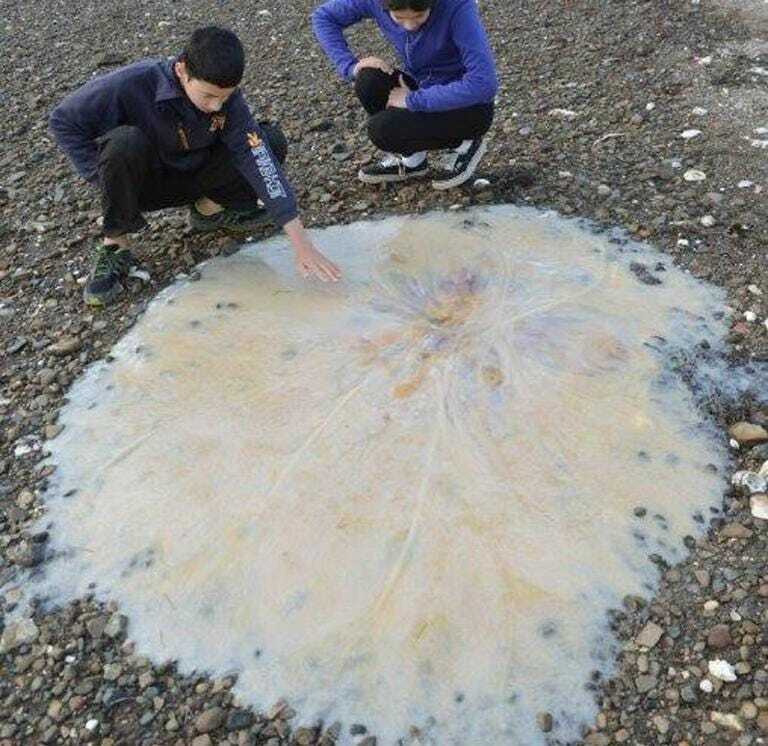 The jellyfish was found by the Lim family on a beach south of the Tasmanian capital Hobart with mother Josie saying "it blew our minds away". "It's not really jellyfish territory here and all we could do was stand back and admire it," she told AFP.